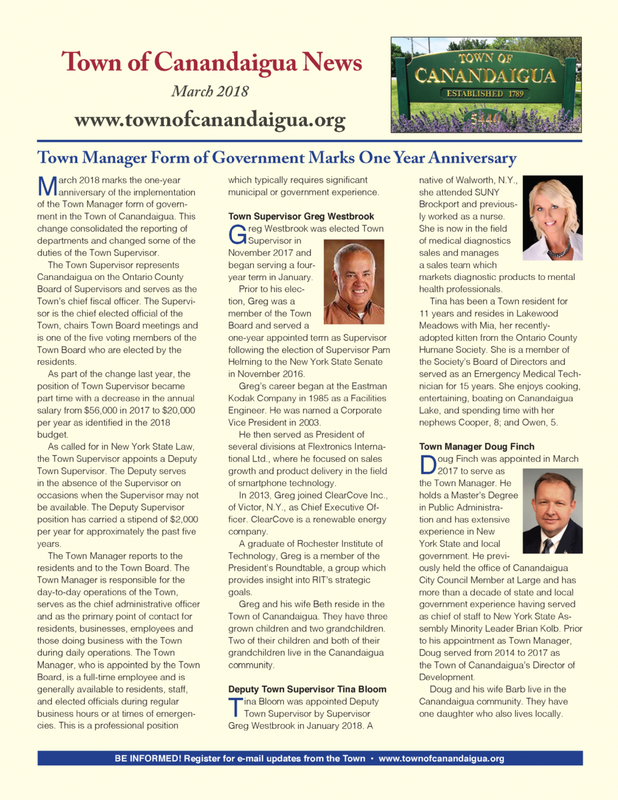 The March 2018 edition of the Town Newsletter is now available. Click HERE to view it on our website. It is also available on our Town Facebook page.